This is your first step in building an extensive understanding of how to analyze the financial markets. You will begin building a complete foundation in Supply and Demand trading logic while setting the pace for understanding the mindset of an institutional investor. From day one you will be provided with an online course including a plethora of material options for your optimal learning experience. Some of which include PDF documents, Step by Step Tutorials, Online Quiz's and the primary component will be in Video format. You will be able to follow along with clear and precise instructions and the best thing is there is no limit on retakes. You may pause, rewind and even jump forward if you have already covered a portion in depth. In this supply and demand trading course, you will build a firm foundation to begin anlayzing price action based on logic NOT emotion. The second step will build on the material which you have learned in the Foundation Course. At this point you will begin learning the more advanced methodology used by many institutions and investors. Some of which include how to locate and draw advanced order flow zones for potential upcoming market turning points and how to differentiate historical order flow from newly placed orders. Through this online course enviornment you will learn definitive strategies with IF, THEN, ELSE scenarios. This means removing the subjectivity from your analysis and designing a rule based strategy. The final step of your training will encapsulate all information learned in the Course(s) and gives you unlimited access to our PFA ZoneSuite. At this point you should have the knowledge to understand much of the "How and Why" of price volatility. Given the nature of the markets ever changing you'll need to put your knowledge to work each day in the financial markets with someone there to guide you every step of the way. 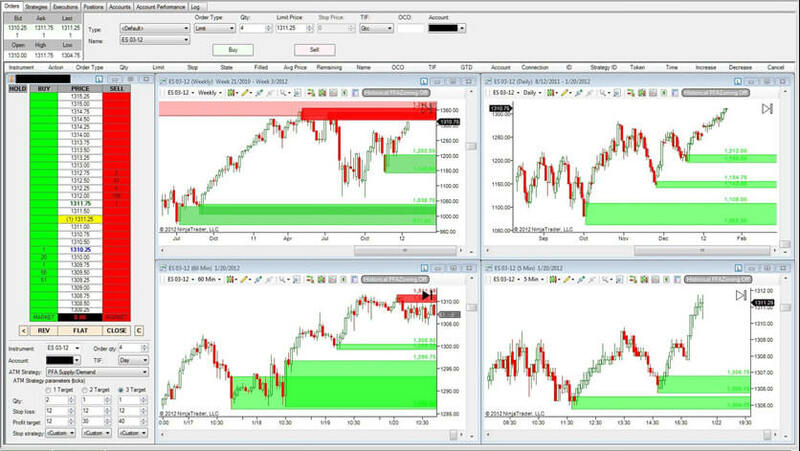 We'll analyze multiple markets and look for qualified, high probability setups. In other words, we take the knowledge set forth and put it into action each day Tue - Thur. You'll follow along as we complete the analysis and have the complete ability to ask questions in real-time. We'll never leave your questions unanswered. Also included; unlimited access to class recordings, Elite Forum access and priority support at no additional charge! With the material and unlimited mentoring you should have what's needed to analyze price action. "We Hope Our Courses Help You Build a Wealth of Trading Knowledge and Reach Your Goals"
Let’s be honest; day trading is a tough job. Very few who go it alone make success of it. 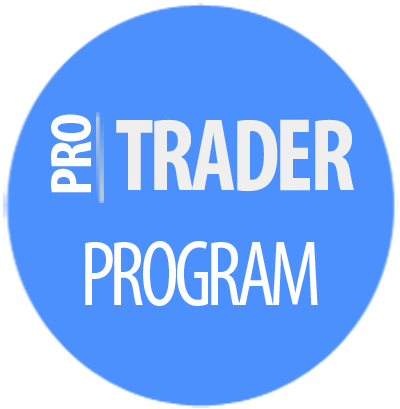 From the newbie in the field, to the experienced trader, anyone making day trading their career can benefit from a good day trading program. Futures, Forex, Stock trading programs and online education programs are easy to find; a simple search will turn up more links than you’ll ever need. Picking one that meets your individual needs is a bit more complicated. If you’re choosing day trading as your career, then you’re smart enough to know that the best day trading programs will offer educational programs and mentoring. Many schools offer an online course format, as well as video conferencing and personal consultations through in-class or group interactions. Different schools will focus on different markets, from stocks to futures, or forex markets. Each will provide their own best strategies and some form of a mentorship program. All stock trading programs will vary in quality, price, and the type and amount of support offered. 1. Cost. This is an important factor, but should not be the only factor. Most traders who jump into the market without training, guidance, and research will find themselves quickly losing much of their account. According to the Financial Industry Regulator Authority (FINRA), a minimum account balance of $25,000 must be maintained in order to trade U.S. stocks as a pattern day trader. When you consider that in the cost of a good stock trading program, spending $5000 or even more to get the quality training and mentorship needed to be successful in the market seems like a bargain. 2. Quality in training. That’s the key phrase. Solid training in the art of day trading consists of three elements: foundation, mentoring, and support. Foundation gives you the base knowledge of the market you’ll be trading, and strategies you’ll need to help you pull the most profit from the market. Mentoring is arguably more important than the information gleaned from books or articles. Mentoring can be accomplished through regular webinars, having your trades critiqued by peers or instructors, or by individual coaching to give you an objective, impartial observer to your trading. Support helps keep you on track and prevents you from slipping into bad habits without even realizing you’re doing it. In essence, support means you know someone has your back, which gives you a significant advantage in the world of day trading. 3. Accessibility. A quality stock trading program should include an element of flexibility. You should be able to get the support you need, and the information you crave, on your schedule. 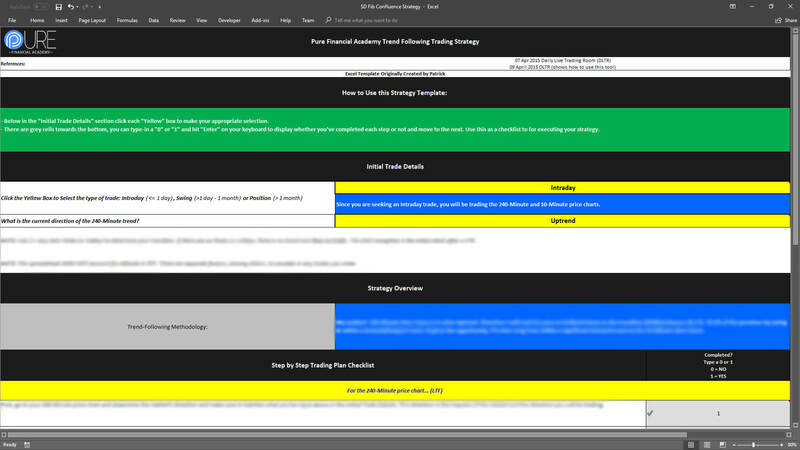 The trading program you choose should offer support via email, online classes or events, webinars, a designated forum, or interactive work rooms. At Pure Financial Academy, you have options. You can choose the educational program that meets your needs and goals. Multiple membership options are offered to meet your specific needs. We currently accept Visa, MasterCard, American Express, Discover, and Paypal. Just as it is when considering any type of training program, cost is a major factor. That holds true when considering an educational program for day trading of stocks, futures and forex. It is an investment in your future and is not a decision to be made lightly. All points should be considered before you shell out a few thousand dollars, or more, for a stock, futures or forex trading program that cannot, by the very nature of the financial markets, offer iron-clad guarantees of success as a day-trader. 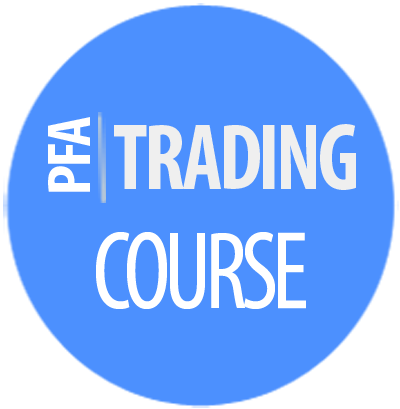 What we can offer at Pure Financial Academy is a solid, reputable training program that will teach you what you need to know in order to face the challenge of trading in the financial and stock markets. 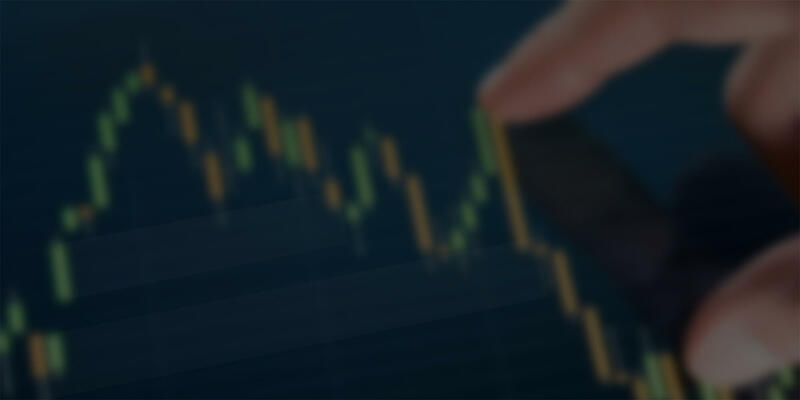 Pure Financial Academy can help you hone the skills you’ll need to set off on your own pursuit of incredible success in the world of day trading. How do the Free Weekly Events work? After signing up here you will receive email invites to join each session including complete details. Please click the link in each email at the time of the event. Can I Upgrade my membership at anytime? Yes! You can upgrade to any one of our plans from your user profile. Click Here for step by step instructions. Our supply and demand trading memberships range in price so that we can meet the need of each individual. Our philosophy is Quality over Quantity! We currently accept Visa, Mastercard, American Express, Discover & PayPal for your convenience. What do I do after I sign up for my membership? Please click the confirmation link that is emailed to you. Upon confirmation, you will be directed to the What To Do Now page each time you log in. All PFA members may Contact Us at anytime. We offer remote support, forum, email & scheduled phone for our community members. Can I ask questions during each day session? Absolutely! We encourage you to ask many questions daily regarding supply and demand OR trading in general. The more you ask the more you learn! Can I access the Elite Forum? You will have unlimited access to the Community Forum. You'll be able to share and engage with other PFA Members.